A happy, healthy lifestyle begins at home. 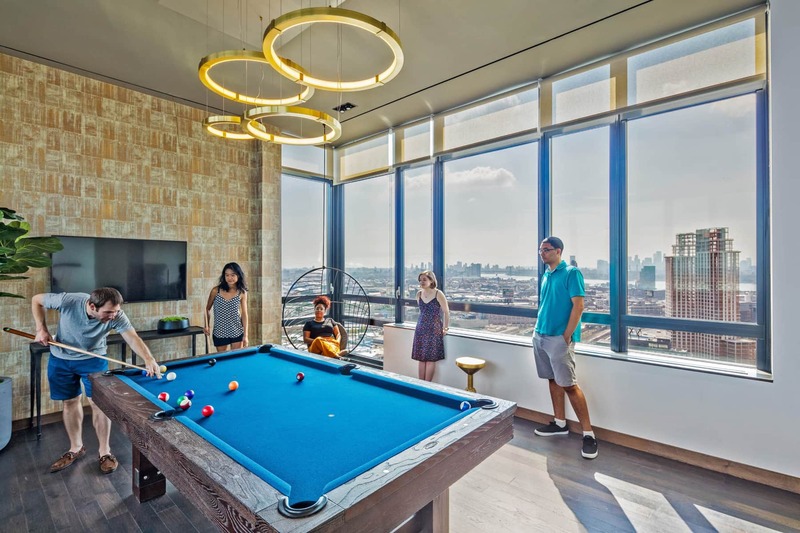 The Forge offers just the right luxuries that make daily life fun, easy and inviting, with more than 26,000 square feet dedicated to amenities and services. 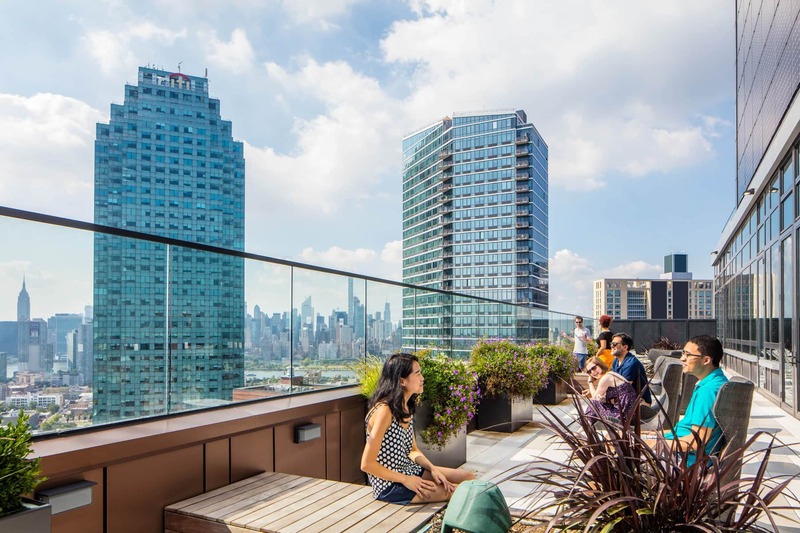 Welcome to the best backyard in New York, which includes spaces to entertain or unwind, get fit or lounge around. Host a summer barbecue or dine watching the big game in surround sound, swim laps or socialize poolside, watch your favorite movie under the stars or take a nap in the Hammock Park - Whatever you're looking for, you can find it right in your own backyard. 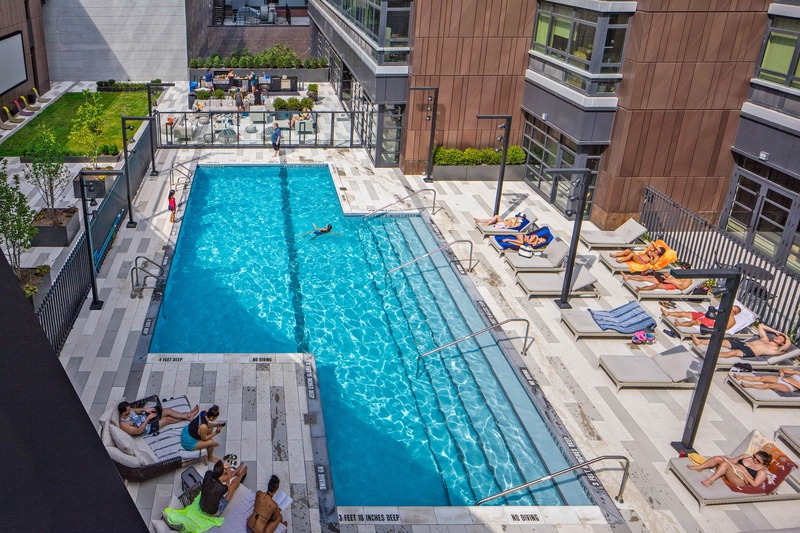 The Forge’s outdoor amenities may cause some lawn envy from the neighbors, but these manicured spaces are just what you need to be transported from the hasty tempo of city living. The landscaped lawns and Green Roof give you a taste of the great outdoors without having to leave home. 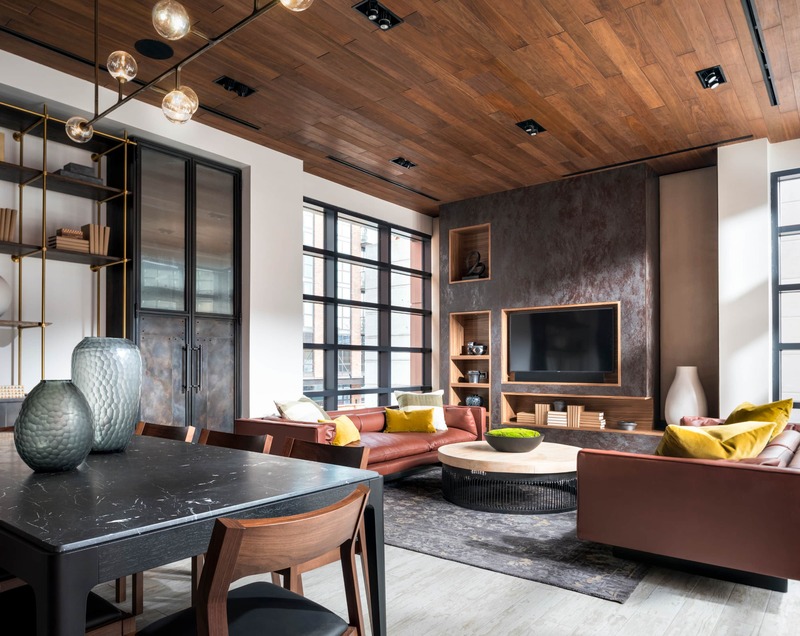 It’s the space you never thought you could have in New York- and it’s all yours to enjoy. 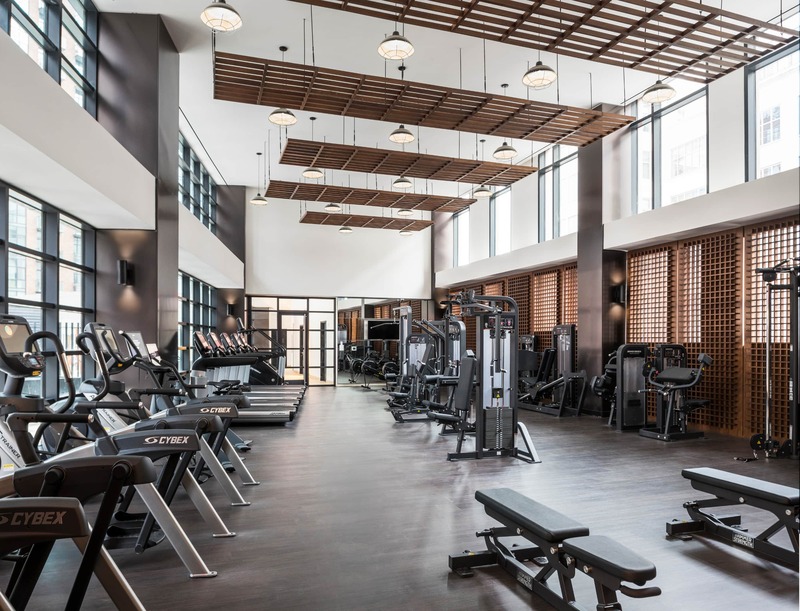 The Forge’s Fitness Center is another reason you won’t ever want to leave home. State of the art cardio and strength training equipment, Peloton bikes and studio space let you tailor your fitness regime to your own time in your own style. Personal trainers and scheduled classes keep you on your game. The Forge makes it easy to get in shape - and stay in shape. In the Children’s Playroom, there’s lots to do and lots to explore right at home. The Forge offers an exciting and well-appointed destination for children of all ages. All they need to bring is their imagination.